Some photos of Dr. Brooke's presentation on using "Art therapy to heal sexual abuse survivors" at the Eighteenth Annual Expressive Therapy Conference in St. Petersburg, Florida. To learn more about the services that Dr. Brooke provides, click here. Dr. Brooke presented on the use of creative therapies with autism spectrum disorders for NIGAT Summer School on July 26, 2011 in Belfast, Ireland. Dr. Brooke presented at the Fourth International Conference on Psychology Education in Sydney, Australia in July 8-11, 2010. Dr. Brooke presented at the Information & Communication Technology in Natural Science Education-2009 International scientific practical conference15-17, June, 2009, Siauliai, Lithuania. July 7-10, 2009, Dr. Brooke presented on Using the Case Method to Teach Psychology Online Classes at the 11th European Congress of Psychology ECP09 - Oslo, Norway. Dr. Brooke presented on Using group art therapy to raise self-esteem at the International Expressive Arts Therapy Association 8th International Conference - Lesley University, Cambridge MA - August 12-15, 2009. Dr. Brooke presented at the Information & Communication Technology in Natural Science Education-2008 International scientific practical conference, 27-30 November 2008, Siauliai, Lithuania. Dr. Brooke presented on the use of the case method to teach online at the Third International Conference on the Teaching of Psychology in St. Petersburg, Russia, July 12-16, 2008. Dr. Brooke presented “Teaching Online Case Studies," at the Third International Conference on the Teaching of Psychology in St. Petersburg, Russia, sponsored by PSY CHI in July 12-16, 2008. Dr. Brooke presented at the 2nd Annual China Arts and Natural Health Conference, on art therapy and self-esteem October 13th – 19th, 2007 in GuangXi, China. From September 19th – 22nd, 2007, Dr. Brooke presented at the 9th European Arts Conference, ENCArTE at Tallinn University in Estonia. Dr. Brooke worked with The Northern Ireland Group for Art as Therapy (NIGAT) and the School of Education, Queen's University Belfast, Ireland and presented a workshop on art therapy and self-esteem July 30th through August 3rd, 2007. Dr. Brooke presented on using the case method to teach online classes at the International Conference on the Teaching of Psychology in Vancouver, Canada, July 13-15, 2007. Dr. Brooke presented, "Critically Evaluating Art Therapy Assessments", for the American Art Therapy Association Conference held in New Orleans, LA, November 15-19, 2006. Dr. Brooke was the chief consultant for the 1st Annual CAT conference in Japan October 7-9. She also presented on art therapy assessment and art therapy with sexual abuse survivors. 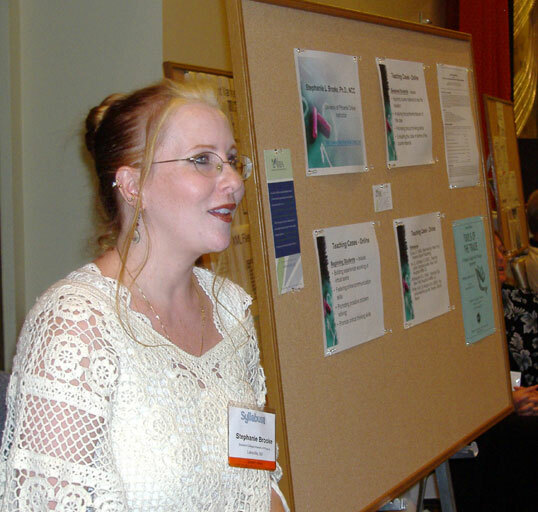 August 10-13th, Dr. Brooke presented on art therapy assessment in New Orleans for APA’s Annual Meeting for 2006. August 1, 2006, Dr. Brooke presented at The Northern Ireland Group for Art as Therapy (NIGAT) and the School of Education, Queen's University Belfast for their 30th Anniversary. 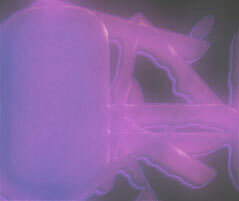 Dr. Brooke presented at the School of the Visual Arts in New York. Their workshop is on Global Art Therapy: Beyond Borders, April 7, 2006. Dr. Brooke's topic will be on Empowering Latina women through art therapy. March 30th to April 2nd, Dr. Brooke presented at the 2006 AWP Conference in Ann Arbor, Michigan, on Art Therapy with Sexual Abuse Survivors. Dr. Brooke presented a paper for at the 77th Annual Eastern Psychological Association Meeting in Baltimore, Maryland on Friday, March 17, 2006. Dr. Brooke presented on the use of art therapy with sexual abuse survivors at the 22nd National Symposium on Child Abuse, March 14-17, 2006, Huntsville, Alabama. On Friday, March 10, 2006, Dr. Brooke presented at First Northern California Creative Arts Therapies Symposium 2006: The Wisdom of the Arts in Life, Therapy & Research held at Fort Mason Center in San Francisco, CA, March 10, 2006 & Saturday March 11, 2006 on the topic of Art Therapy with Sexual Abuse Survivors. 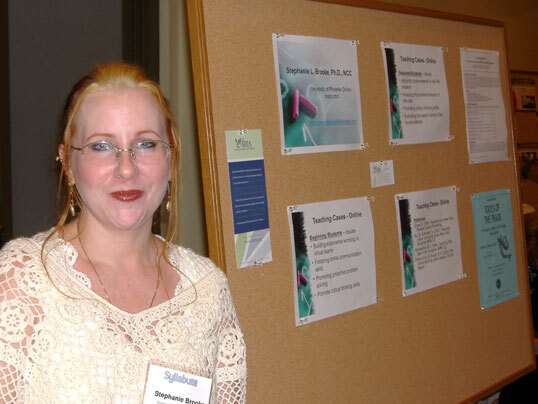 Dr. Brooke presented at the Eighteenth Annual Expressive Therapy Conference, January 27-29, 2005 in St. Petersburg, FL on using "Art therapy to heal sexual abuse survivors." In January 2-8, 2006, Dr. Brooke presented at the 28th Annual National Institute on the Teaching of Psychology in St. Petersburg Beach, Florida on The use of the case method for teaching and facilitating online classes. Dr. Brooke presented at the 31st Annual Meeting of the Association for Moral Education, in Cambridge, MA, November 1-6, 2005. Her presentation will center on Building Resiliency in Youth. Dr. Brooke presented at the 2005 Annual Conference of the International Society for Exploring Teaching and Learning, in Cocoa Beach, FL, October 13-15th. This pedagogical presentation will focus on the use of the case method for teaching online classes. On October 8, 2005, Dr. Brooke presented on art and play therapy assessments for The Association for Play Therapy at its 2005 Conference at the Gaylord Opryland Hotel in Nashville, TN from Tuesday, Oct. 4 thru Sunday, Oct. 9. In september, Dr. Brooke presented at the 8th European Arts Therapy Conference in Crete, Greece. Her topic will be on Critically Evaluating Art Therapy Assessments, in relation to her newly released book Tools of The Trade: A therapist’s guide to art therapy assessments, 2nd ed. In February of 2005, Dr. Brooke presented a paper on the use of art therapy with sexual abuse survivors at the 30th Annual Conference of the Association for Women in Psychology in Tampa, Florida. Click here to see the slideshow. Presented a poster at Steps to A Healthier US Workforce, sponsored by the National Institute for Occupational Safety and Health to be held October 26-28th, 2004 at George Washington University. Presented paper at the 5th Annual Case Studies in Science Conference, Buffalo, NY, October, 2004, on Use the Case Method in the Online Classroom. Presented at 25th Annual Canadian Art Therapy Association Conference, September, 2004 on art therapy assessment.